Second only to Kyoto when it comes to sites of incredible historic and cultural beauty and value, little Nara was Japan’s first capital city. It’s 1300 years old and built around an incredible park, Nara-kōen, which is filled with ancient temples and relics, the most impressive of which is the Daibutsu, or Great Buddha. Because there are so many treasures within this park and the surrounding area - and they’re so beautifully laid out and preserved, many people ‘do’ Nara as a day trip from Kyoto, but you could easily do it the other way around and many of the best places to stay in Nara facilitate this. Explore the expansive Nara Park - possibly best renowned for its plethora of tame deer that wander the greenery. Visitors can buy deer biscuits and unsurprisingly attract plenty of attention from the local wildlife! Visit the giant Buddha at the Todai-Ji Temple - a vast, intricate temple filled with huge statues to the gods. Excellent tour guides will take you around the building with guided tours in English. It's also worth visiting the impressive Kasuga grand shine which features thousands of ornate stone lanterns. The stroll along a pathway lined with looming trees and stonework is a wonderfully tranquil experience that is worth a visit in itself. To make the most of the truly stunning natural surroundings, pay a visit to Isuien Garden with its pleasant water feature and perfectly-manicured trees making it a wonderful place of calm. To learn more about the rich culture of Nara, pay a visit to the Nara National Museum. The museum has a strong focus on Buddhism - involving everything from Buddhist art to its growth through time. The excellent assortment of artefacts also provides visitors with a fascinating glimpse back through time. Whatever the reason for your visit, our selection of the best places to stay in Nara will help you really make the most the experience. 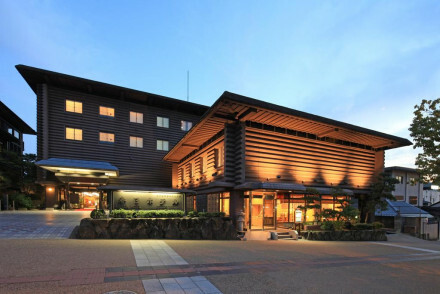 Asukaso is a chic hotel located in the heart of Nara. Contemporary rooms are Japanese in design with paper screens, floor level dining room tables and large windows letting in plenty of light. A selection of onsens provide quiet spots for complete relaxation. The perfect base for city exploring. 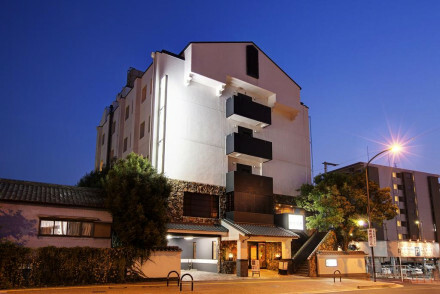 Hotel Asyl Nara is a tranquil property located in the heart of the city. Rooms mix contemporary style with traditional charm; think low-level dining tables, sink-into beds, a tatami mat area and wooden floors. Boasting a fire lit lounge and a restaurant serving Kaiseki course meals. A charming stay. 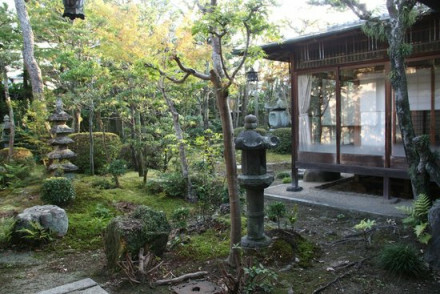 Kankaso Ryokan is an atmospheric traditional ryokan nestled amidst pretty gardens and situated adjacent to Nara Park. Japanese style rooms are light and airy with tatami mats, paper screens and lovely views. Regional meals are served within the guest rooms. Ideally located to explore the historic city. 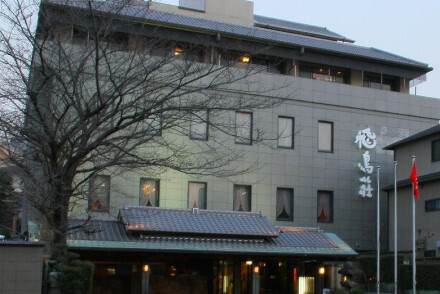 Nara Kasuga Hotel is a traditional property located next to the scenic Nara Park. Japanese style rooms feature tatami mats, low-level dining tables and the best have baths and massage chairs. A number of onsens provide tranquil spots for unwinding. An authentic Japanese hotel perfectly set for exploring the city. Hakushikaso is a traditional Japanese Ryokan located next to the picturesque Nara Park. Japanese styled rooms feature paper shutters screening off quiet alcoves, floor level dining tables and tatami mats. A 2000-year-old cypress wood bath provides the perfect spot to unwind post a day exploring the city. Superb. 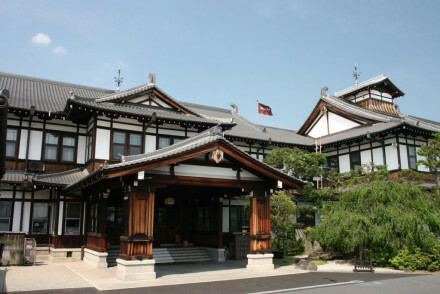 Nara Hotel is a historic property featuring classic Japanese architecture. Elegant rooms boast high beamed ceilings, antique furniture, floor to ceiling windows and fireplaces. Playing host to two elegant restaurants and a glamorous bar. An atmospheric hotel ideal for exploring the ancient city. 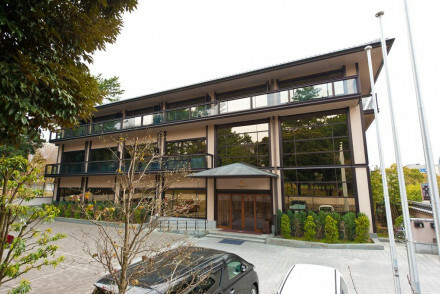 Noborioji Hotel is a boutique luxury property nestled in a quiet spot next to Nara Park. Chic rooms mix old-school glamour with contemporary style. Floor to ceiling windows sit next to elegant dark wooden furniture and softly patterned fabrics. Boasting a glamorous French restaurant and atmospheric bar. Fabulous. If you'd prefer a self-catering option this holiday, don't hesitate to visit our online partner, Booking.com for a great selection of properties - perfect for exploring Nara. The closest international airport is Kansai International Airport located 80km (50 miles) from Nara. It’s also very easy to travel by train from Kyoto, which takes about 35 minutes. If you want to rent a car to explore the area, visit our partner Rental Cars. Best time to visit - the spring from March to May for pleasant temperatures and smaller crowds. Browse through our list of the best places to stay in Nara. Expand your search to include our recommendations in Kyoto or Tokyo. A chic hotel located in the heart of Nara. Contemporary rooms are Japanese in design with paper screens, floor level dining room tables and large windows letting in plenty of light. A selection of onsens provide quiet spots for complete relaxation. The perfect base for city exploring. Local exploring - A centrally located property with easy access to the city's main attractions. Sights nearby - Make a trip to the UNESCO World Heritage Site, Kofukuji Temple. Great walks - Spot Japanese wild deer whilst on a scenic walk in Nara Park. A tranquil property located in the heart of the city. Rooms mix contemporary style with traditional charm; think low level dining tables, sink-into beds, a tatami mat area and wooden floors. Boasting a fire lit lounge and restaurant serving Kaiseki course meals. A charming stay. Local exploring - Ideally located to explore the city. Sights nearby - Make a trip to the nearby Kofuku-ji and Todai-ji temples. Great walks - Amble through the scenic Nara Park. An atmospheric traditional ryokan nestled amidst pretty gardens and situated adjacent to Nara Park. Japanese styled rooms are light and airy with tatami mats, paper screens and lovely views. Regional meals are served within the guest rooms. Ideally located to explore the historic city. 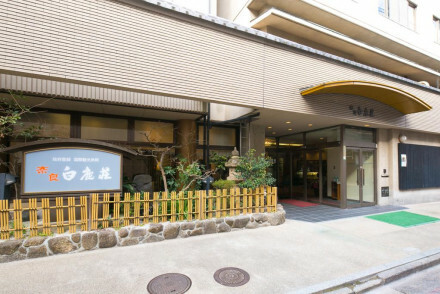 Local exploring - Situated right by Nara Park and with many of the city's main attractions within walking distance. Great walks - Step out the door almost straight into the scenic Nara Park. Sights nearby - Make a trip to Nara's world-famous Todaiji Temple. A historic property featuring classic Japanese architecture. Elegant rooms boast high beamed ceilings, antique furniture, floor to ceiling windows and fireplaces. Playing host to two elegant restaurants and a glamorous bar. An atmospheric hotel ideal for exploring the ancient city. Local exploring - A historic hotel well placed for exploring a city filled with World Heritage Sites. Sights nearby - Marvel at the intricately carved Kasuga Taisha Shrine. Great walks - Take long walks through the scenic Nara Park. A traditional property located next to the scenic Nara Park. Japanese style rooms feature tatami mats, low level dining tables and the best have baths and massage chairs. A number of onsens provide tranquil spots for unwinding. An authentic Japanese hotel perfectly set for exploring the city. Local exploring - Well located next to Nara Park and with easy access to many of the city's major sights. Sights nearby - Just a 15 minute walk from the ancient Todai-ji Temple. Great walks - Take a long amble through the nearby Nara Park. A traditional Japanese Ryokan located next to the picturesque Nara Park. Japanese styled rooms feature paper shutters screening off quiet alcoves, floor level dining tables and tatami mats. A 2000 year-old cypress wood bath provides the perfect spot to unwind post a day exploring the city. Superb. Local exploring - Located overlooking Nara Park and with many of the city's historical sights within easy access. Sights nearby - Visit the historic Kofuku-ji Temple, just a 10 minute walk from the property. Great walks - Take an amble through the picturesque Nara Park. A boutique luxury property nestled in a quiet spot next to Nara Park. Chic rooms mix old-school glamour with contemporary style. Floor to ceiling windows sit next to elegant dark wooden furniture and softly patterned fabrics. Boasting a glamorous french restaurant and atmospheric bar. Fabulous. Total relaxation - A tranquil adult-only property located next to Nara Park. A relaxing city hideaway. Sights nearby - Visit the Todai-ji and Horyu-ji temples, both UNESCO Heritage Sites. Great walks - Take long ambles through the the primeval forest of Nara Park.